We are very excited to announce our first-ever cooking competition for the youngsters, to be held on the 7th July at Robin Hood lane. All girls who are 10 or older can participate but places are limited and will be allocated on ‘first come first served’ basis. This will be in addition to the normal activities for our monthly gathering. You will need to organise yourselves into teams of 5 or 6 depending on how many applicants we have. They are limited spaces so please register as soon as you can. The rules and requirements are below, so please read it carefully. We hope you are as excited about this as we are and we are looking forward to hearing from all our youngsters, Insha’Allah. The competition will start promptly at 10am – all participants should be there by 9.40am. This will give them time to set up. *THERE ARE ONLY 18 PLACES – IT IS FIRST COME, FIRST SERVED, AND WHEN YOU DO SIGN UP, REMEMBER YOU ARE MAKING A COMMITMENT TO YOUR GROUP, DON’T LET THEM DOWN, MAKE SURE YOU TURN UP ON THE DAY WITH THE INGREDIENTS AND UTENSILS YOU PROMISED TO BRING! *IT IS UP TO YOU TO ARRANGE YOUR OWN GROUPS WITHIN THE COMMUNITY, CONTACT EACH OTHER AND MAKE SURE YOU HAVE SHARED OUT THE RESPONSIBILITY! The sunday session for the ladies will inshaALLAH start at 10:20am sharp. Sister Saira will be making banana and blueberry muffins with the girls and there will be some form of sports as well run by our newest [youngster]team.InshaALLAh. we aim to finish by 1:30pm so please tell the brothers and families to come by/from 1:45pm. Prayers (Thohur prayer will be at 13:45 sharp in-shaa’a Allah) , Lunch, COM General Monthly Meeting, Short Reminder, Q&A session, and of course many breaks in-between to allow for socialising. It’s that time of the month again where we make time (for the sake of Allah) to gather together as a community to get to know each other over a light meal and plenty of teas and coffees (not forgetting soft drinks). The aim of this gathering is to build a strong bond in our community between brothers, sisters and most importantly our children so that they have a strong connection and a sense of belonging in the community. This will Insh-Allah bear fruits for the future. This Sunday a sister will start teaching some Authentic French Cuisine, starting this month with making French pancake or as we say in French “Le Crepe”. I think it would be appropriate to call it – Le Crepe de Ali – a Algerian sister will provide the ingredients but she need to know – by Friday- how many sisters are coming. So if you are interested please text a message to Br. Abdullatif who will pass the message on (we don’t publicise sisters direct contacts). We will not charge for the ingredients nor for the training but she is expecting participant to pay £1.00 each that will go into COM. Prayers, Lunch, COM General Monthly Meeting, Short Reminder, Q&A session, and of course many breaks in-between to allow for socialising. Just a to reminder to all, our monthly community gathering is this Sunday 6 Jan 2013. Please do your very best to come and meet other members of your local community . Inshallah, we will start from 12:30 till 4:30 pm. Relaxing time (get to chat and know others) and have lunch together. And of course a short reminder. We shall start by Duhr prayers at 12:30 sharp and Asr at 2pm. Inshallah we will finish with Maghrib prayers at 4:20pm. This is a reminder to everyone that our monthly gathering will take place at a NEW venue this Sunday. The gathering will take place earlier than usual as a member of the community will be holding Aqeeqa for their child, so please start arriving to the youth centre from 12:30pm onward. There will be a brief talk on Aqeeqa delivered by Abdullatif and if time allows there may be another talk on Ahlaq (manners in Islam) where Abdullatif will continue from his previous talks. Please remember that the main aim of the monthly gathering is to get the community together once a month to build the bond by getting to know each other and strengthen the unity of the community. It’s also an opportunity for our children to get to know and make friends with other Muslims in the community. So please make an effort to attend the gathering and invite your friends and relatives to the event. Don’t forget it’s a new venue and also to start arriving from 12:30pm as Dhuhr Salah will take place at 12:45pm. 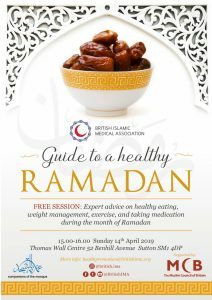 For further information on classes and activities organised by Companions of the Mosque, please visit WWW.COMPANIONSOFTHEMOSQUE.COM or telephone: 07946 489 099. A reminder that the usual Sunday Community Social Gathering will take place this Sunday starting at 3pm till 6pm. Building up proper local community is paramount for your own future progeny. So please do your utmost to attend, if you have guest then bring them with you and be proud of your local Muslim community. Please do remember the objective of these monthly gatherings are for community building. Security for your children will only be achieved by belonging to a solidly bonded community. “The wolf will only eat the stray -and weak- sheep”. Refreshments will be provided. However, if anyone wish to bring a dish to share then you are more than welcome and it is highly encouraged as part of community building exercise. Quick note to remind everyone that our monthly gathering will take place at the Quad this Sunday. The gathering will take place earlier than usual as brother Harun will be holding Aqeeqa for his daughters. Please arrive at the Quad from 1pm. There will be plenty of food (Insha-Allah) as brother Harun has ordered 5 sheeps to be used for this occasion. There will be a brief talk on Aqeeqa delivered by Abdullatif, and if time allows there may be another talk on Ahlaq (manners in Islam) where he will continue from his previous talk on the same topic delivered at the Quad few months ago. There is an on-site parking as well as off street parking. For more information, please telephone: 07946 489 099.